Surrounded by mountain valleys and lush meadows, with the Colorado River winding its way through the stunning landscape, you will find an exceptional destination for your business event. Corporate retreats can take on many forms—the posh banquet at a sophisticated hotel or the overbearing meetings in cramped rooms interspersed with an afternoon of golf. 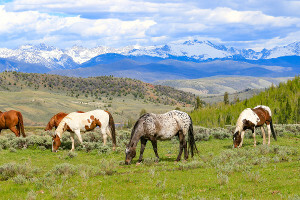 While there’s plenty of advantages to some of those experiences, there’s something entirely different and memorable awaiting for you in the heart of Colorado ranch country. C Lazy U Ranch has welcomed travelers since 1919 to discover its premier ranch experience that combines the traditions of the American West with the luxury of a five-star resort. Recently awarded as the 3rd best resort in Colorado and the 9th best resort in the United States by the Condé Nast Traveler Readers’ Choice Awards, C Lazy U Ranch is everything you’re looking for in a successful getaway with your colleagues. 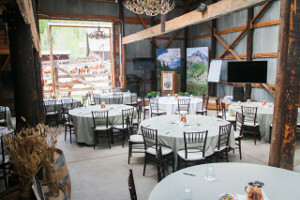 C Lazy U Ranch hosts nearly 60 events every year and it’s becoming such an important part of their ranch that they have recently begun building a new Lodge Meeting Room specifically for company retreats. Along with the meeting room, they are building a banquet facility complete with state-of-the-art audio/visual capabilities, facilities, food and beverage accommodations, and an adjoining wine cellar and bar for private events. With the ability to seat between 40 to 50 people, it’s an ideal venue for midsized company meetings, seminars, and gatherings. Of course, this is just the beginning of your corporate experience at C Lazy U. The ranch’s 8,500 acres of beautiful Colorado landscapes provides you with plenty of space to explore and unwind in-between all of your hard work. Onsite you will find exciting team-building activities to make your stay as exciting as possible. Archery, trap shooting, and tennis is available, but you can’t go wrong with a relaxing horseback ride through the ranch’s trails. For a little more thrill, try their ropes course and zipline. So don’t just take our word for it. C Lazy U Ranch prides itself on providing groups with quality service, lodging, meeting spaces, and team-building activities. Everything you need to have a successful retreat with your colleagues awaits you right here!